One Week Changed My Life!  Visit the Good Thinking website for help with managing your anxiety to meeting like-minded people. Chances are if you have a social media account you’ll have seen a photo of some Easter Eggs or a pile of sweets or cup cakes with the caption #diabetes. It might seem like a harmless joke to most, but to my daughter it is a metaphorical punch in the face. Type 2 diabetes is serious. If it’s not managed properly, the consequences include a higher risk of amputations, heart disease and sight loss.